Now that more than 80% of real estate transactions in the United States begin with an online search, according to NAR, you have no choice but to create a powerful web presence. It is more than likely that you already have a website, or several, up and running in an effort to capture leads. However, if you are like most agents, you’re probably feeling somewhat disappointed in the results that your website has yielded so far. Since you spend a lot of time and money to promote your website, it is important that you are actually capturing high-quality leads from it. Building an effective lead capture website for your real estate business is like cooking a five-star meal, it requires all of the right ingredients, as well as, careful execution. Wouldn’t it be great if you could set up a lead capture website that regularly captures high-quality buyer and seller leads? Imagine how having new high-quality buyer and seller leads every day would affect your real estate business and your life. Wouldn’t that be worth investing an hour or two of your time? Believe it or not, that’s all it will take when you follow this step-by-step guide. Any time that you are setting up a new website, it is very important that you select a strategic domain name. My favorite place to purchase domains and host websites is BlueHost. BlueHost will provide you with a free domain and various other tools when you set up a hosting account with them for just $4 per month! I started using them a few months ago and I am so glad I did. This is the first place that many real estate agents make their mistake with their real estate website. Rather than choosing a domain that involves your name or your business name, it is best to choose one that is a relevant search term or keyword you want to rank for. This will help you to get your website pushed towards the top of more online searches. 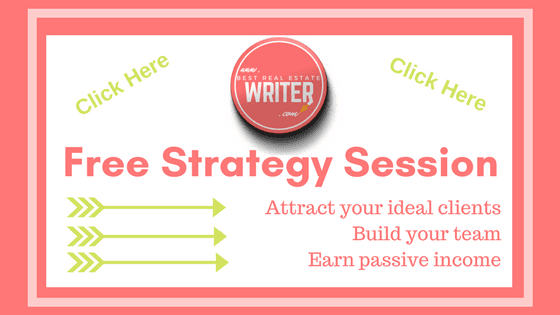 Notice how my domain is BestRealEstateWriter.com? That’s because I knew that nobody would search for Sarah Layton when they were looking for a real estate content writer or content marketing coach. 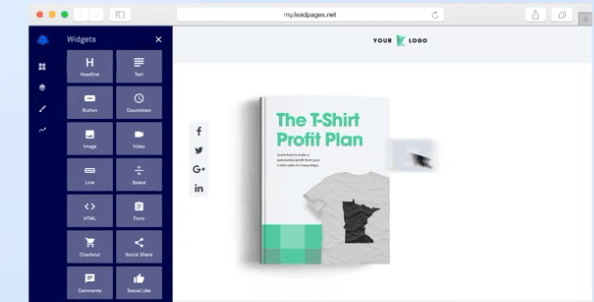 Leadpages generates leads and sales for your real estate business on the web, in emails, via text messaging, and on social media. It is the fastest and easiest way to start collecting your high-quality leads. Get started by signing up for your free account here. Once you have signed up for your account, toggle over to the templates tab. From there, narrow the options down by selecting real estate templates, as shown above. Browse through the available templates and select the one that makes the most sense for you. Once you have selected the template that you want to use, the drag and drop builder will open up for you. The drag and drop Leadpages builder has all of the tools that you need to effortlessly create your new landing page. If you aren’t experienced at design and copywriting, I urge you to be careful in what and how much you edit the page. Just make sure that the page has all of the correct information about your business and links to the correct destination. The most effective landing pages are those that offer something in exchange for minimal information. For example, if you are trying to attract sellers, you should offer a free home valuation and downloadable book that will help them to prepare their house for sale. The more valuable the offer, the more likely you are to collect their information. 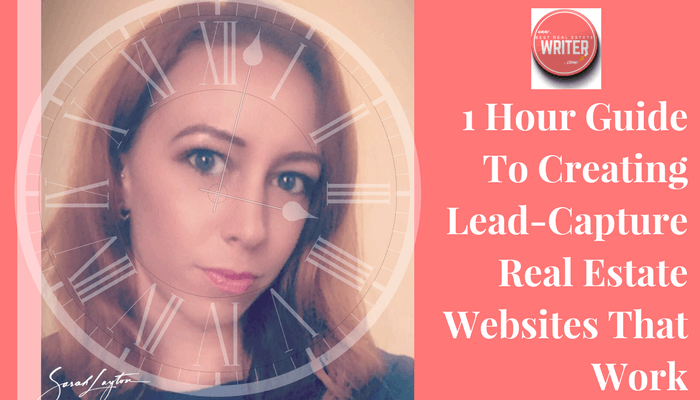 Again, you will be investing time and money to get people to your LeadPages, so it is important that you are capturing names and email addresses from as many of them as possible. Simply creating a powerful lead-capture website is not enough. You need to get people to your page so it can collect leads for you. That means that you need to market the page by advertising your freebie giveaway at every opportunity. Need help optimizing and implementing your LeadPages?